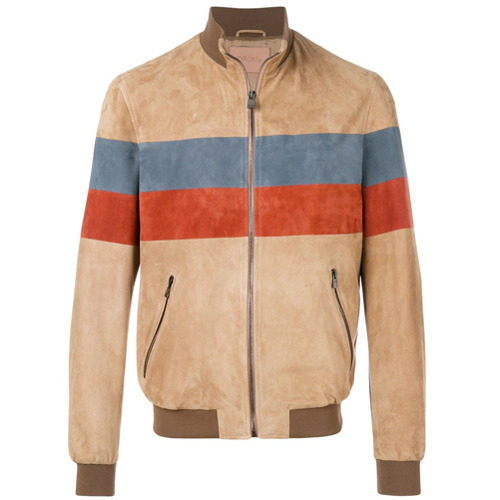 If you're searching for a casual yet stylish look, consider wearing a Drome stripe detail bomber jacket from farfetch.com and light blue jeans. Both pieces are totally comfortable and will look great paired together. 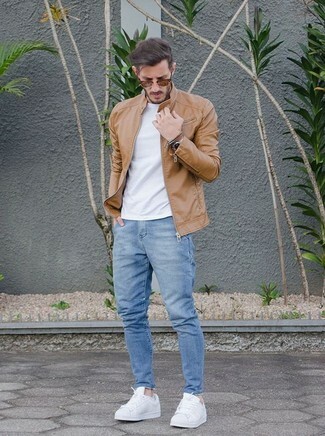 White leather low top sneakers are a great choice to round off the look. 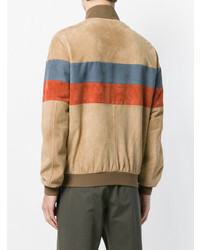 This combo of a Drome stripe detail bomber jacket and navy chinos is clean, dapper and super easy to imitate. Sporting a pair of black leather casual boots is an easy way to add some flair to your ensemble. 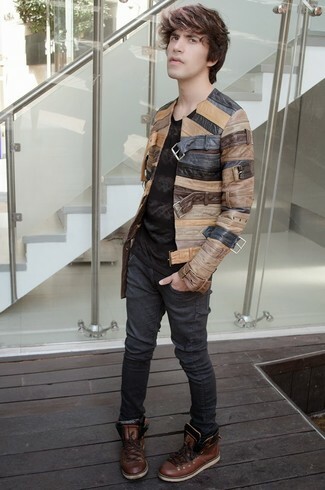 If you're hunting for a casual yet sharp ensemble, team a Drome stripe detail bomber jacket with black skinny jeans. Both items are totally comfortable and will look great together. 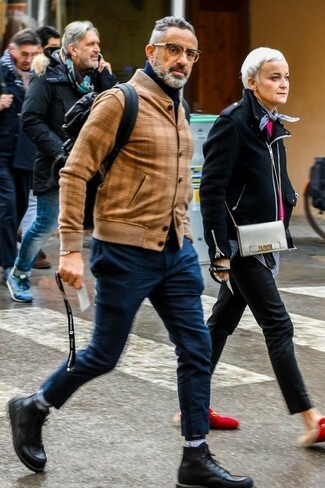 Opt for a pair of dark brown leather high top sneakers for a more relaxed feel. 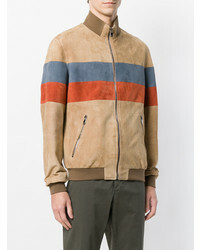 If you're hunting for a casual yet on-trend ensemble, pair a Drome stripe detail bomber jacket with black skinny jeans. 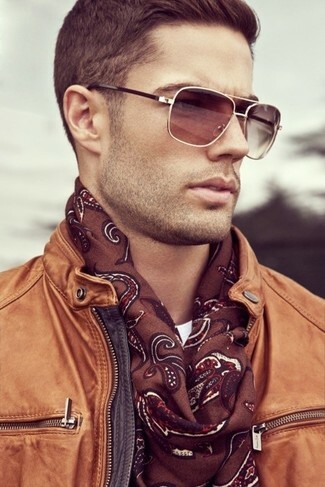 Both garments are totally comfortable and will look great paired together. Sporting a pair of black leather casual boots is an easy way to add extra flair to your ensemble. 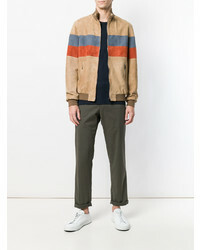 If you're on a mission for a casual yet sharp ensemble, wear a Drome stripe detail bomber jacket from farfetch.com and olive chinos. Both pieces are totally comfortable and will look great together. 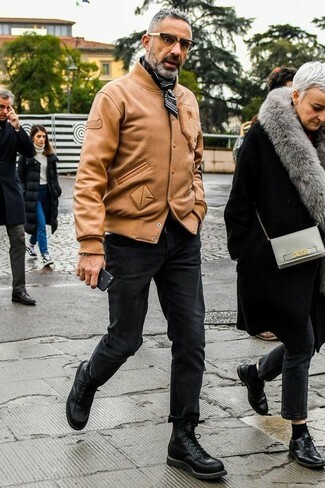 For something more on the daring side to round off this look, go for a pair of white leather high top sneakers. If you don't like spending too much time on your outfits, reach for a Drome stripe detail bomber jacket and a white crew-neck t-shirt.